When I think of all the bad things that are happening in the world today, there are few things that both hurt my heart and touches it at the same time. One of them is when I hear of children being abused or misused and the other is when I hear of some people who take life for granted, then take people lives. With those bad and terrible things happening in the world I know that our Father in Heaven is not pleased. But what disturbs me the most is when I hear of couples or married people arguing or fighting each other. When in truth when man and woman become one, it is suppose to be you and them against the world. Couples or married people are not suppose to be fighting each other, they should instead be fighting for each other. It is suppose to be for better or worse, richer or poorer and till death do us part. I wonder what happened to this? What happen to couples being together through the good or the bad? What happen to couples or married people giving each other both time and space to really learn about each other? Why is it that we all tend to want and instant fix or the perfect mate right away, when in fact we ourselves or not perfect or free of sin? 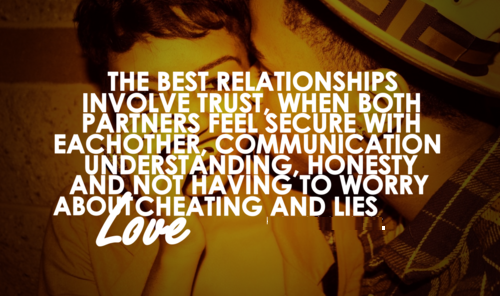 What happen to understanding and why do we expect to trust in our marriages or relationships when, both hardly know each other? Don't we all know that this takes time just like everything else? Why won't couples or married people work at trying to stay together rather than working on how, to separate or work at getting a divorce? Don't most of us realize that you have to build a good relationship or marriage and all of should know that true love takes time and needs time to grow. If we cannot get our own personnel lives together what type of example are we giving our children and why do we expect them to have good mates ,when we cannot find a good mate for ourselves? Why is it that we all complain about there not being enough good men or good women out there when both sexes have a hard time keeping someone in their life for a long period of time? I think why this hurts me so much , is because I have had my share of bad relationships and that I also have been through a divorce. So I know how it feels to be betrayed and I even know how it feels to have a broken heart. Going through this sometimes makes you wonder if its even worth it to date or even to marry. I have asked myself this question many times," Is it even worth it to give your heart to someone when in time they will only break your heart? Dating, going through marriage can be both wonderful at times and heart breaking at the same time. Its sad but while dating or in marriage , its only human nature that we only remember the bad times. Most of the time we never acknowledge a persons good side or their good deeds. Instead most people when they argue focus on a person mistakes, failures and sins. It seems these days that no one really wants to work in the relationship. Both men and women expect a man or woman to come them prepackaged with no faults, perfectly suited for them , with out sins or drama. We all want the person just right for us, equally yoked, God fearing, loving, kind, considerate, understanding, fun and perfect. But at the same time most of us do not realize that if this person really existed , it wouldn't work anyway. Why would I say this? Well if we happen to be blessed with someone as perfect as this we would latter complain that he or she is too good to perfect, to understanding, to loving or to Godly to be the right man or woman for us. We would make statements like this, "he or she is too good to be true or that they must be gay" .It seems it does not matter that we prayed for a good man or woman , because in the end most will never be happy or satisfied. But its not really suppose to be this way, its suppose to be You And I against the world, for better or worse for richer or poorer, till death do us part. That's right You And I !